Iran is an unparalleled land of contrasts, where the snow-capped mountains stand at the doorstep of the vast land of the sunshiny desert. 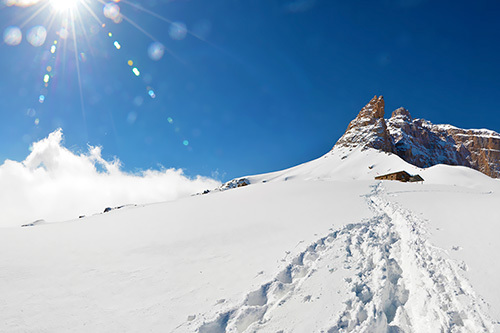 Brave the cold to ascend the highest peak of Central Iran with a professional local mountain guide, and be rewarded with a spectacular view on top of Mount Shirkooh, at 4075 meters of altitude. Enjoy a pure night sky and pristine nature, before walking barefoot over sand dunes of nether land. Savoring the ritual of Persian Hammam and getting traditional massage integrating with the conquering feast food, regain your strength battling with gravels of desert. If you're looking for a challenging and rewarding experience, this mountain and desert trekking is going to have all your boxes ticked! You're about to feel the warmth of the desert and the coolness in altitudeof the mountain, within 24 hours! Ascending to the highest peak of Shirkooh mountains "The Lion Mountain" we start hiking through a valley to encounter an extraordinary nature that makes this journey worth every minute. You may catch sight of a furred little head with rounded ears, sneaking in the vegetation by chance... 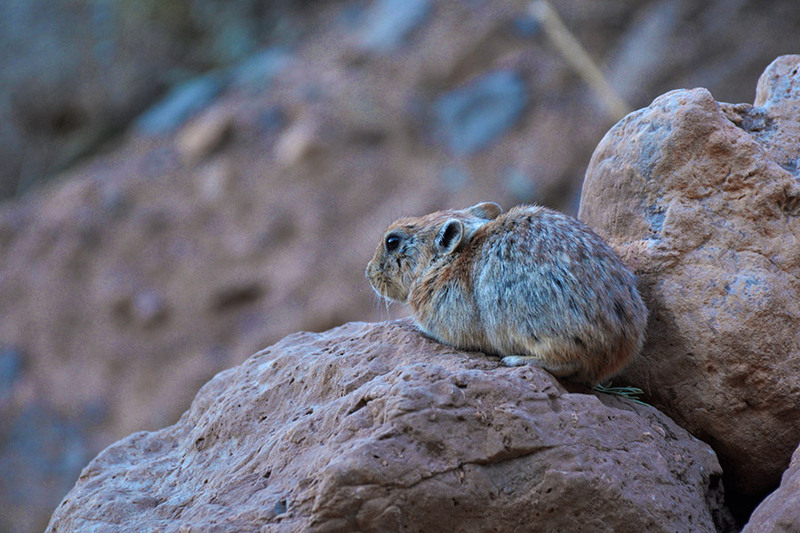 It's just one of the inhabitants of the place, a small gentle mammal similar to rabbits called "Pika", or Mountain goats grazing, running fast. 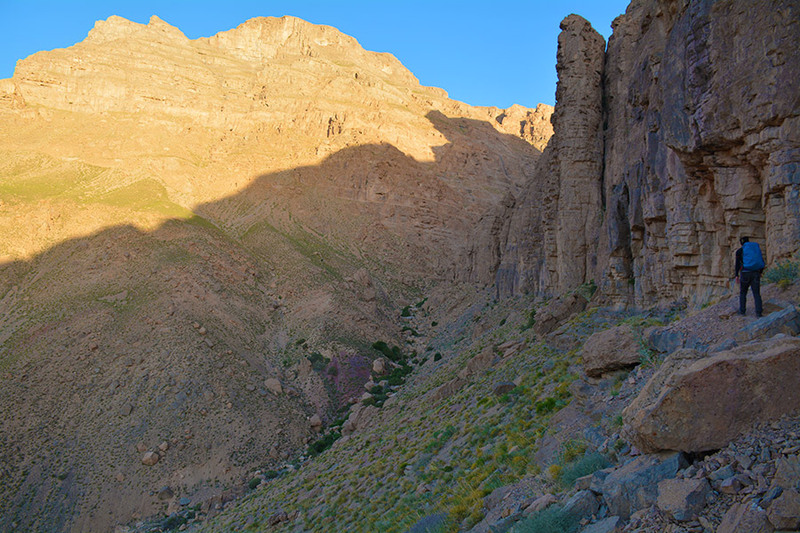 Reaching the top of Shirkooh, your efforts are rewarded with a stunning view over the Najib Valley. From this breathtaking viewpoint, gaze at the Karkas Mountain of Kashan, 350 kilometers away, as well as the Bell Mountain, some 220 km toward the west. At the horizon, the dramatic silhouettes of imposing Barfkhane Peak (4005m), having snow during 9 months of the year just in the heart of barren desert and Aseman-Nema Peak (3870m) appear like enchanting shadowy figures. Sleeping in the great silence of the snowy mountain, you can appreciate a rare sky full of stars away from any modern noise and light pollution. Descending from the peak shelter, you are daydreaming of a true leisure and refection in your mind; wait for your dream to come true in so near future. Back to the city of Yazd in the wonderful UNESCO listed historical city, plunge straight in the unique experience of getting massage in Hammam, the Persian bath. For centuries, hammams have been an integral part of the Iranian culture, as they were not only a place to clean up but moreover a social gathering. After the epic of Yazdi hammam, it's time for enjoying the Abgosht and native cuisines in an authentic restaurant as a memorable gratitude to your fitness. 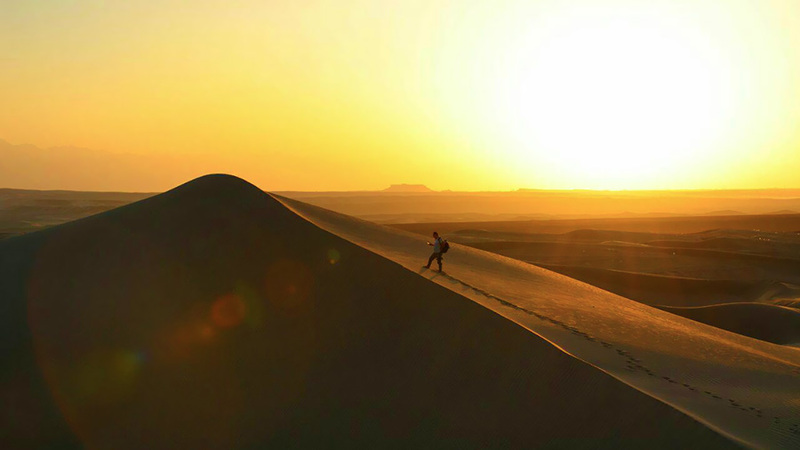 Several thousand meters altitude separates you from another earthly wonder: the vast lands of the desert while sunset turning the dunes into fire. The next chapter is observing star-full sky. At the end of the day, grant yourself some feasts by tasting a delicious homemade chicken kebab, cooked in the middle of the sand dunes and after soiree around bonfire catch one of the best dreams of your life in this desert camp. 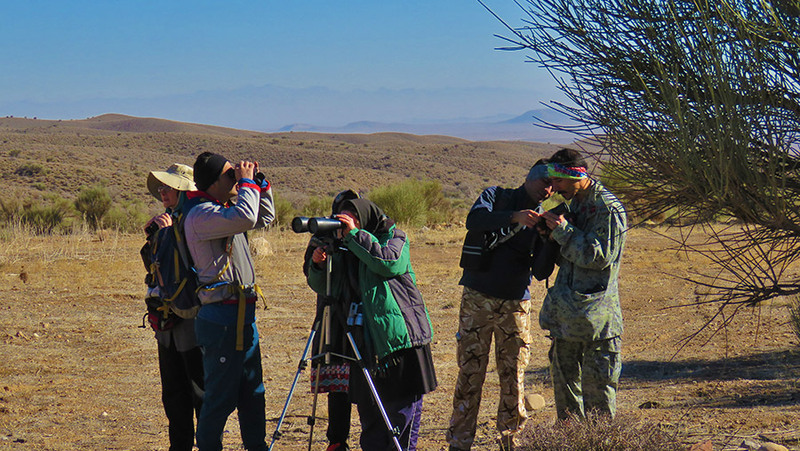 Same pace with the Sun, record sunset forever in your mind and in the middle of this sea of sand, attend to the exceptional spectacle of migrating birds reuniting around an artificial pond in the desert, benefit your bird watching characteristic.